Actor Mickey Rourke and director Darren Aronofsky talk about their film "The Wrestler" at the Times Center tonight. Maybe movies about washed-up wrestlers are your thing. Maybe you have a crush on the New York Times Magazine's Lynn Hirshberg, who'll be mediating tonight's talk. Or maybe you've heard that the newspaper is looking to make some quick cash selling off part of its headquarters, have $200 mil lying around, and want to take a look around inside Renzo Piano's Times Center, where the event takes place. Or maybe, like us, you're utterly, completely, transfixedly riveted by the Curious Case of Mickey Rourke, a man who owes pretty much his entire career (such as it is) to the 9 1/2 Weeks scene where he nails Kim Basinger on a stairwell in a rainstorm, whose very evident plastic surgery was performed by a guy nicknamed The Butcher, and who all of a sudden is orchestrating an Oscar-level comeback with The Wrestler -- which won the Golden Lion at the 2008 Venice Film Festival (only the third American film to do so in the institution's history) -- in which he plays said washed-up wrestler attempting a comeback in the September of his years. So meta! 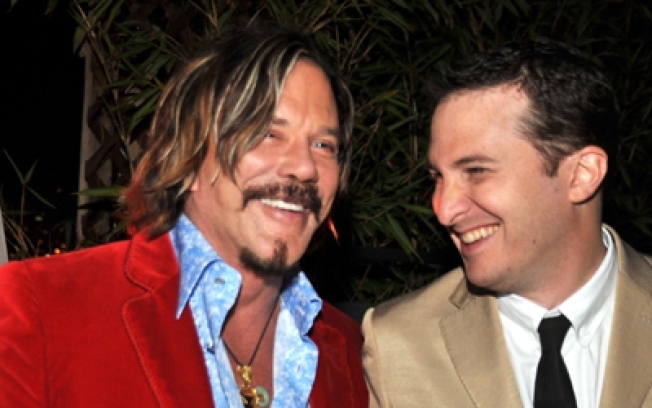 Get up close and personal with Rourke and the film's director, the super-talented Darren Aronofsky, at 8:30PM.